Rheumatoid factor (RF) is frequently tested in general practice where its utility as a diagnostic test for rheumatoid arthritis (RA) is not known. We undertook a retrospective cross-sectioal study to determine the utility and cost of RF in a primary care population. 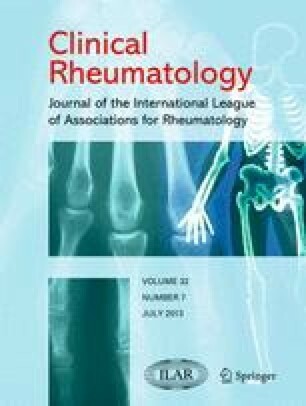 We compared RF with recorded clinical features based on the American College of Rheumatology (ACR) criteria as a diagnostic test for RA in 235 patients in general practice using receiver operating characteristic curves and calculated the cost of testing per case of RA. We analysed 36,191 RF requests made to one laboratory from 2003–2009 at a mean annual cost of £58,164 and the variation and annual cost of RF testing between 77 practices. The sensitivity and specificity of RF at the optimal cut-off value of 20 U/ml were 0.6 and 0.96 and that of two documented clinical ACR criteria were 0.9 and 0.92, respectively. No ACR criteria were documented in 150 (63.8 %) patients who had RF tested. The overall cost of RF testing per case of seropositive RA was £708.75. Of all RF requests, 66.6 % was made by GPs, 7.0 % by rheumatologists and 26.4 % by other hospital departments. The proportion of positive tests was 5.8 % in primary care and 17.7 % in rheumatology. The mean number of tests performed annually in primary care was 4.65 (SD 2.7) per 1,000 patients. RF is less sensitive for RA than clinical features in primary care and is frequently requested in cases without clinical evidence of the disease, adding to the overall cost. The authors would like to thank Dr Richard Silvester and Dr Peter Burke for providing access to data on their patients, and Carina Dunford and Jackie Masters for providing primary care demographic data.